The goal is to have a single vROps dashboard that displays all 6.x VCSA and PSC disk partition usage and see the trend over 30 / 90 days. Tag your VCSA’s and PSC’s. Otherwise you will have to pick each one when creating the group. In my lab, I only have one 6.5 VCSA with an embedded PSC. Here is a LINK to the view to import. 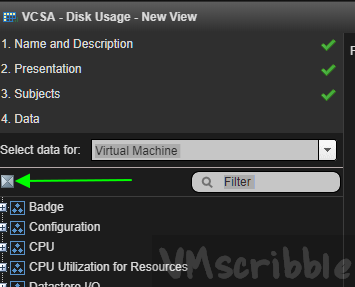 Data – Click the Icon on the top left and pick a VCSA. Un-check “Trend of the historical data” and “Forecast for the next” for each one. 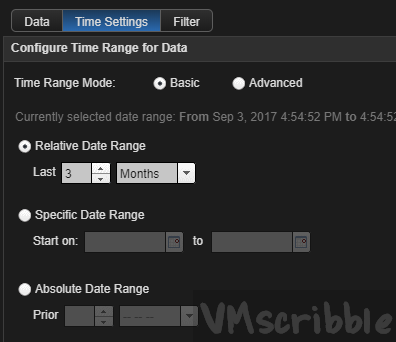 Click on “Time Settings” and choose 3 Months for the Relative Date Range. 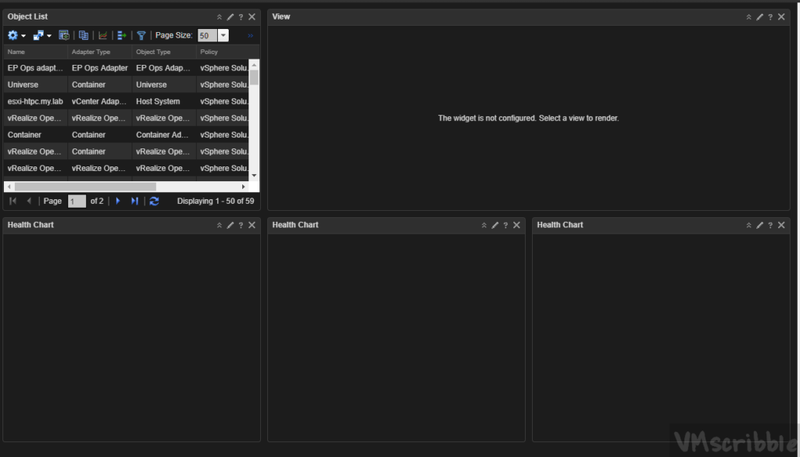 Create a new Dashboard with an Object List / View and 3 Heath Charts. 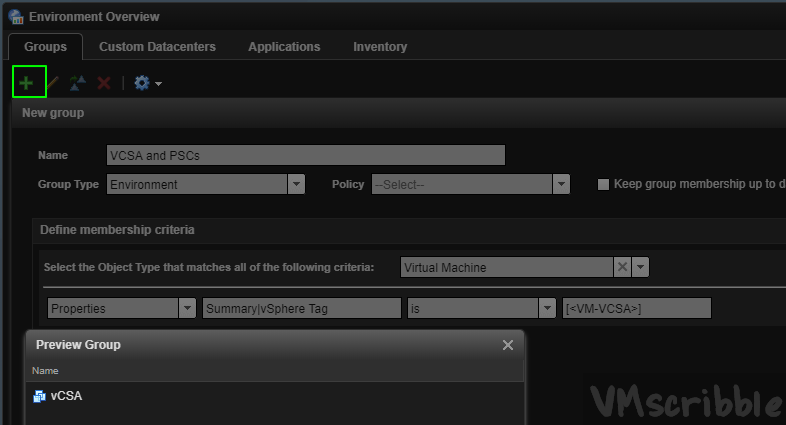 Expand Environment to find the vROps Group and click..
On the right hand side pick any other Virtual Machine metrics. I picked CPU ready. Un-check other columns that you do not want to see. View Widget – search for your VCSA view. Order By Value Desc. Last 30 Days. Expand Environment to find the vROps Group and click.